Anazole should be taken on a course of flavoring steroids (such as testosterone, methandrostenolone, and others) to suppress the process of flavoring. However, before you start taking the drug, you need to make sure that estradiol is really elevated, and most importantly, you need to clearly understand how elevated it is. Anazole course lasts exactly as long as the course lasts. After you have learned the level of estradiol in the blood, start taking anastrozole in a dosage of 1 mg every other day, after 10 days take the test again, and based on the result, increase or decrease the dosage. Remember that the more your body fat, the stronger the process of flavoring, so the best prevention of this problem will be getting rid of excess body fat before the course of steroids. A significant decrease in the degree of flavoring (up to 80% of the initial degree). Blocking the degree of estrogen. Quick product action. The highest concentration of the working substance in the blood is observed after 2 hours after administration, which allows you to very quickly suppress the process of flavoring. Extremely effective for athletes prone to flavoring. 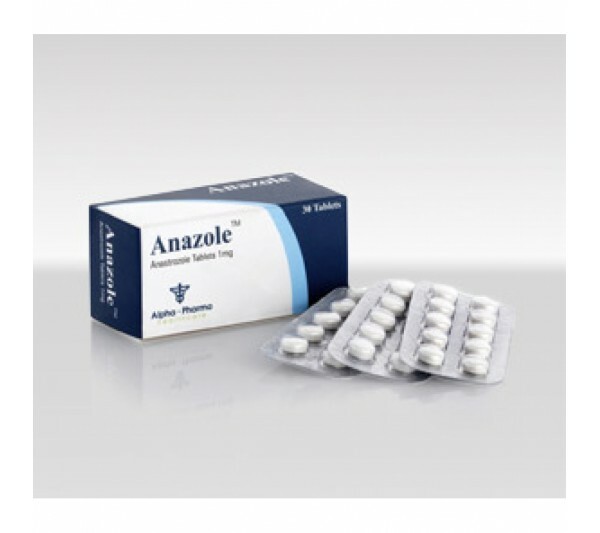 With personal intolerance to the working substance, as well as the full excess of the recommended dosages, the following side effects from Anazole are likely: drowsiness, polymorphic erythema, asthenia, various allergic reactions, headache, vomiting, nausea, diarrhea, skin rash. Anazole can not be used by people, one or another have prepyadstviya with cardiovascular order. The product quite effectively counteracts estrogenic side effects, but at the same time it covers the beneficial characteristics of estrogen (suppression of the production of good cholesterol), which can lead to heart themes.